Q1. Can I pay by Credit Card without using/having PayPal Account? Yes, PayPal Account is not required to finish the transcation of your order. PayPal is just the payment processor. Click Here to see how to make a payment without a PayPal Account. Q.2 What is a Seat Bolt? 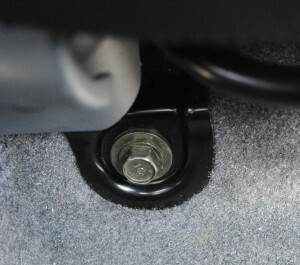 “Seat Bolt” is like a screw to mount the seat on the floor of your car. and MS-323PB Small Devices Mounting System. Q.3 What is your shipping policy? Ans: Please refer to our Shipping Information Page. Q.4 How to install Mobotron Laptop Stand? Ans: You can download the User Manual for Mobotron MS-526, MS-426.